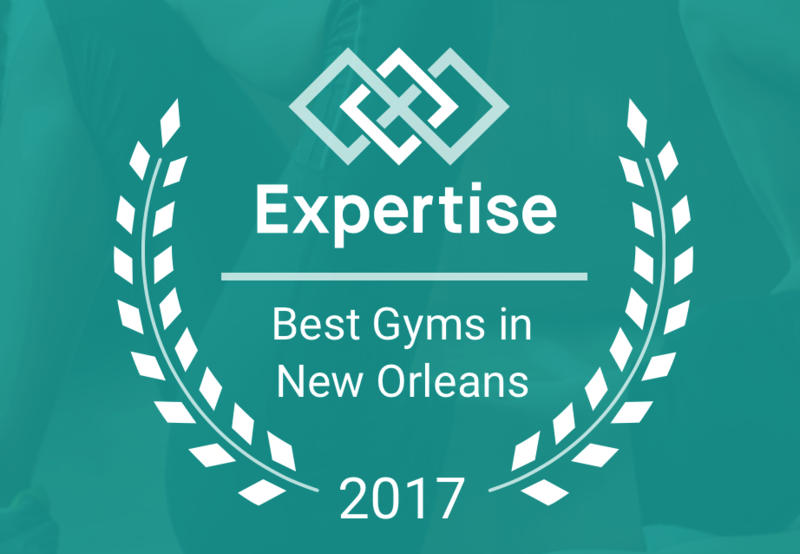 Exercise Science, LLC has been consistently rated as one the best personal fitness training and rehabilitation centers in New Orleans, LA. Thank you expertise.com! It is an honor to receive this award! 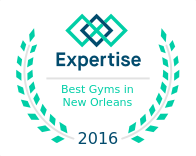 Best Trainers for 2015 and 2016 from Best Businesses in New Orleans, LA. 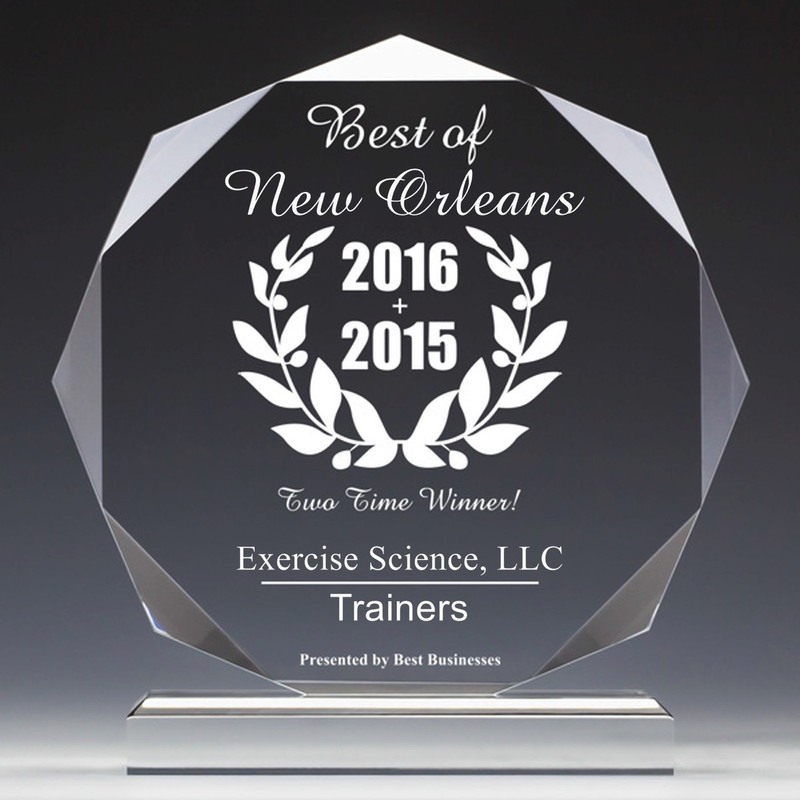 Exercise Science, LLC was selected for two years in a row as the BEST business for New Orleans for the category "Trainers." It is interesting that they state that this award is given for "quality, not quantity", for small businesses contributing to the US economy. They only chose ONE business for each category per year. We have won it twice in a row. Thanks to our amazing team for helping us to move the boundaries of our industry forward. Check out our Google reviews, Facebook reviews, and other client reviews and testimonials. I have actually been plagued by degenerative disc disease since 2005, at 26 years old. I should mention that I have been overweight since I was a child, however I have always been very active in sports up until the age of 26. My first back surgery (L5-6)was in 2005 with the best neurosurgeon money could buy at the time. I had a full recovery and along with that came chronic pain that I was actually grateful for, because it wasn't the tortuous pain I had experienced preoperatively. I thought I was doing great! Within the next 10 years, I have spent thousands of dollars on physical therapy and had about a dozen neurosurgeon appointments (that are out of network with insurance) per year, because there was always some level of pain or problem to be treated. Not only from the lumbar spine, but from the cervical spine as well. The pain went from manageable to barely tolerable. I have never used narcotics to treat the pain, as they didn't even take the edge off. So, I figured I should lose weight now. I had a 70lb weight loss that was surely going to help my chronic, everyday pain. Nope. It just made exercising a little easier. MRI's, injections, my second back surgery in 2014 (L3-4, L5-S1), and almost $10K later led me to physical therapy to try to regain use of my left leg, which was lost preoperatively. My recovery at 36 wasn't as speedy as I thought it was going to be. As a matter of fact, I recovered and rested myself into a cervical spine injury. My neurosurgeon had me completely at rest for 4 months after the surgery with no training whatsoever. Then I was free to do a light cardio. Well, who wants to work out with a painful cervical spine injury from doing nothing? I did what I always did when pain got intolerable. I went to physical therapy from October 2014-February 2015. I was no better. I had even maxed out my insurance benefit for PT and had to pay out of pocket. It was in the beginning of February 2015 that I met my "celebrity" trainer Ryan Hall, by a true miracle. 4 visits with Ryan, his brilliance, his impeccable ability to break down these complex issues into layman's terms (so those of us with average brain capacity can understand them), and his Medx machines have changed the last 10 years of my life in a 4 week period. My personal experience trumps anything I can ever read from any naysayer or antagonist. I believe whole heartedly not only in the Medx machines, but in Ryan who is solely responsible for turning off 10 years of chronic pain. I started training with Ryan to alleviate my neck pain, I had no idea my chronic back pain would go away as well. What a treat. Thank you for being my Physiologist in shining armor. I wish I could give you as big a gift as you have given me. This is why I say I feel like I have hit the lottery since we have been working together. You are truly genuine and I know you have changed the lives of many others besides mine. On behalf of all of us, THANK YOU!!! After completing the orthopedist’s prescribed physical therapy for the second surgery on my right shoulder, I looked around for someone that could not only continue my recovery but for someone knowledgeable enough to work with me to prevent further injury. That’s when I found Ryan Hall who not only helped me build up the strength and musculature in my shoulder, he began working with me to develop my overall strength and endurance. As a physician, I have reviewed the literature regarding the aging process and how best to prevent muscular injury, osteoporosis, and cardiovascular disease. I am convinced the work and time invested with Ryan is my best option to safely maintain my health and fitness in the coming years. ★★★★★ Ryan Hall knows the science of muscle physiology and exercise. He also knows YOU - your body, your strengths and weaknesses - and how to tailor your workout to fit. If there is an injured area - a muscle, tendon, joint - he can choose the exercise modalities that lead to healing, better than most physical therapists. I have worked with Ryan for 13 years and am very happy with the results. ★★★★★ I have worked with Neil for over 15 years, his knowledge of personal training, equipment and safety is reassuring. I will continue to work with Neil to develop my skills and improve my health. i would not hesitate to recommend Exercise Science to anyone with desire to improve their overall health and Strength. ★★★★★ I am 68 and have been trained by Neil at Exercise Science for 18 years. Being a diabetic and very busy (and lazy), I credit Super-Slow for bringing me to, and sustaining, a fit, strong constitution. Maybe I shouldn't box, but my body looks better than I was 45-45 and I don't mind picking things up. Neil adjusts my program basis my travels and health without a lot of rah-rah talk. His "science" frees me from figuring out a program. ★★★★★ Ryan's attention to detail and support have made this the only workout regime I've ever stuck with....going on two years now. I like to know why certain methods work better than others, and Ryan's knowledge of the biology and mechanics of weight training are unparalled. I have greatly increased strength, built more muscle than I've ever had, and have fun in the gym! ★★★★★ I have been training with Ryan for 17 years. He has effectively helped me to combat sarcopeina. I am 83 years old and feel terrific! All of my blood lipid profiles are spectacular. I remain and still play tennis. I highly recommend Exercise Science, LLC. ★★★★★ I've trained with Neil since 2004. I can say honestly that while the cosmetic is wonderful!! it's the physical effect that is so important!! I have multiple spine issues and without Neil..well I'm just not going there!! Thanks!! For keeping me mobile!!! ★★★★★ About 6 months ago, at age 79, I was looking for an exercise program that would maintain or improve my overall strength and mobility. At the time I was experiencing reduced strength and limited motion in my left shoulder and general age-related joint pain. A friend recommended Ryan Hall. Since I began training with Ryan, my shoulder problem has completely resolved and I've experienced a vast improvement in my overall strength, mobility and muscle tone. I highly recommend Ryan and the Exercise Science training program. ★★★★★ I walked into the Temple Gym purely to explore a new gym that was nearby my house. To my surprise, I stumbled upon the people of Exercise Science LLC who introduced me to High Intensity Training and even gave me a free workout. 5 months later, I'm still a weekly visitor. Ryan, Scott and the rest of the people at Exercise Science LLC not only know so much about exercise science, but they're also willingly to share their knowledge without coming off in a cocky manner. Additionally, I've been ecstatic with my results, which in the end, is all that really matters. I've been active my entire life and I've been going to the gym religiously ever since my Freshman year in college, but I've never been so pleased with my health before. The people of Exercise Science LLC will not only show you how to be healthier in the gym, but also in your life. I recommend to anyone. ★★★★★ I was referred by a friend who has had a great experience training with Ryan. I began seeing Scott Haas at the beginning of the summer and have been very happy with the results! Before seeing Scott I was going to boot camp 3x per week but after starting the super slow training I quit boot camp all together. Scott's individualized sessions targeted to increase my fitness level were much more effective in a fraction of the time. I was worried that I wouldn't feel like I was getting a much of a work out in our once a week sessions but as I grew stronger I could really feel the strengthening of muscles. Scott is also very knowledgeable about fitness and nutrition in general so he helped me to begin a ketogenic diet. Under his guidance I lost 8 pounds and feel more energized than ever. I'm hooked! ★★★★★ I have been training with Scott Haas for over five months. He is highly knowledgeable about this program as well as enthusiastic and genuinely interested in the success of his clients. I have always been a gung-ho lift/run/swim/diet/supplement kind of guy, so it took a lot of work for Scott to convince me of the value of this program and that my previous regimes were not only unnecessary but possibly detrimental. The weights I can lift has actually doubled on some machines, but has gone up on every single one regardless of the amount. Not to mention, my favorite thing is I look incredible! ★★★★★ I started working with Ryan about eight months ago to get myself back into shape after having a baby. I'm absolutely thrilled with my results thus far. I have lost all of my baby weight and am in the best shape of my life. Ryan goes over the science behind this type of exercise, which I appreciate. His knowledge and passion are unparalleled! ★★★★★ I have trained with Ryan for over 20 years. He is extremely knowledgeable in all aspects of weight training, fitness and diet. He is always focused on safety during training and has helped me achieve many health and fitness goals over the years including: weight loss, strength building, and training for half marathon and half ironman events. He has also been able to help me with recovery and strength training after surgeries and injuries. He works with you where you are at the moment and will help you achieve any goals you set. He is an awesome trainer and makes strength training more fun with his wit and great humor! ★★★★★ I began training with Ryan Hall, Owner of Exercise Science, LLC, 16 years ago as I was intrigued with the Super Slow method. I immediately became "addicted" in a good way. Ryan is extremely knowledgeable of the method he teaches. He has been able to adapt my workout through any injury or surgery I have had. I never doubted his expertise which was very important to me. I do train twice a week with a "split routine" as that is what works for me. I highly recommend Ryan Hall of Exercise Science. ★★★★★ I find Ryan Hall to be very committed about personally guiding me in physical rehabilitation. Not just for me but for everyone who comes to him. It was by referral, I began training with Ryan at Exercise Science in mid July 2015 at which time I had minimal body strength as a result of an auto crash in October 2011. He certainly has the education, knowledge, skills and ability to personalize training. When I began training with Ryan, it was very difficult for me to stand, sit or walk without difficult and soaring pain. I did have to work through tears but now I have body strength with improved performance. The weight training has been worth it. As a personal physiologist, Ryan is very encouraging and motivating. I strongly believe Ryan to be so passionate about what he does because of many proven results. By the grace of God, training with Ryan has made a huge difference for me! ★★★★★ I've been working out with Ryan Hall of Exercise Science for nearly 10 years. It's a quick 20 minute workout that focuses on muscle retention which has so many more health benefits as we age... Ryan has hours that suit my crazy schedule and is always accommodating. Additionally, Ryan's knowledge of the body, physics and safe ways to push muscles to failure for optimum results is invaluable. I would highly recommend Exercise Science to anyone contemplating ways to stay fit and fine tune muscle tone. ★★★★★ I have trained with Ryan Hall, the owner of Exercise Science, on & off since 2006. When I trained with him after gaining post-Katrina weight, between 2006 & 2007, I lost about 9 pounds and was in fantastic shape. I moved away for a few years and started back with Ryan in 2014, and have again, seen fantastic results. Each session is customized to where I am, he's constantly pushing me to get the very best results possible - and once again I have lost weight and am in much better shape than when I started. I have recommended trainers that Ryan has brought on, to 3 friends and they've all had similar experiences. My mom and 2 cousins have also trained with Ryan over the years and have been extremely happy with the results. I cannot recommend Exercise Science enough, their Super Slow system will start showing results by the 3rd session, in my experience. ★★★★★ I've been working out with Scott Haas for several months now, and I love it! He's a great trainer - very patient and encouraging, but definitely pushes you to the limit! This is a unique form of weight training that may not be for everyone, but it's right up my alley. I love pushing myself to achieve new goals, and I've been amazed at how far I've come over just a few months time and how much my strength has increased. Definitely adaptable to any fitness level - I'm a physical therapist, and I think this is a great strengthening program with extremely knowledgeable trainers ready to work with you and your needs. ★★★★★ Shelli V is the best! She keeps me keeps me going with just the right combination of support and challenge. I am getting stronger and better balanced each week thanks to her expert guidance. ★★★★★ I have been working out with Shelli for a few months now and my body has transformed drastically! Not only am I stronger but I feel so much healthier and better about myself. When I feel like giving up, she gives that extra push to get me through! I can't thank her enough for helping me get my life back on track! Effective Exercise Is Intense, Brief and by default Infrequent. Ryan is helping me get in the best shape of my life after a back injury. His attention to detail and supportive and educational style have motivated me to get stronger with every session! Ryan is one of the best instructors in the US, if not the world, and I highly recommend him to anyone who wants to learn how to exercise as effectively, safely, and efficiently as possible. I've going to Ryan for 10 years, the best health decision I've ever made!!! Ryan Hall is one of the best and most knowledgeable trainers in the WORLD, literally.